These adorable little pies are super easy to make and the filling is so delicious. 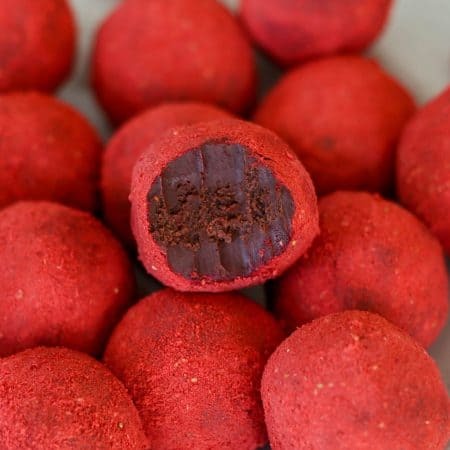 Nutello Oreo Truffle recipe: coming SOON! I hope you enjoyed the pictures! If you have any questions about where I purchased the printables from and what not, comment below! Now, onto the reason you’re actually here, these mini apple pies! For ease, I used store bought pie crust but you can totally make a scratch one and use that. I am lazy. 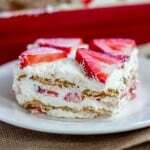 The filling is gooey, and so flavorful! You’re going to love it. There are notes of cinnamon and nutmeg swirling through giving it the most delicious, cozy flavor. Is there anything more cozy than apple pie on a cold day/night? Don’t think so. Then, lay flat on top of filled pie cups. Trim off excess and press edges down slightly. Sprinkle with some sugar, bake them up and taaaaa-da! 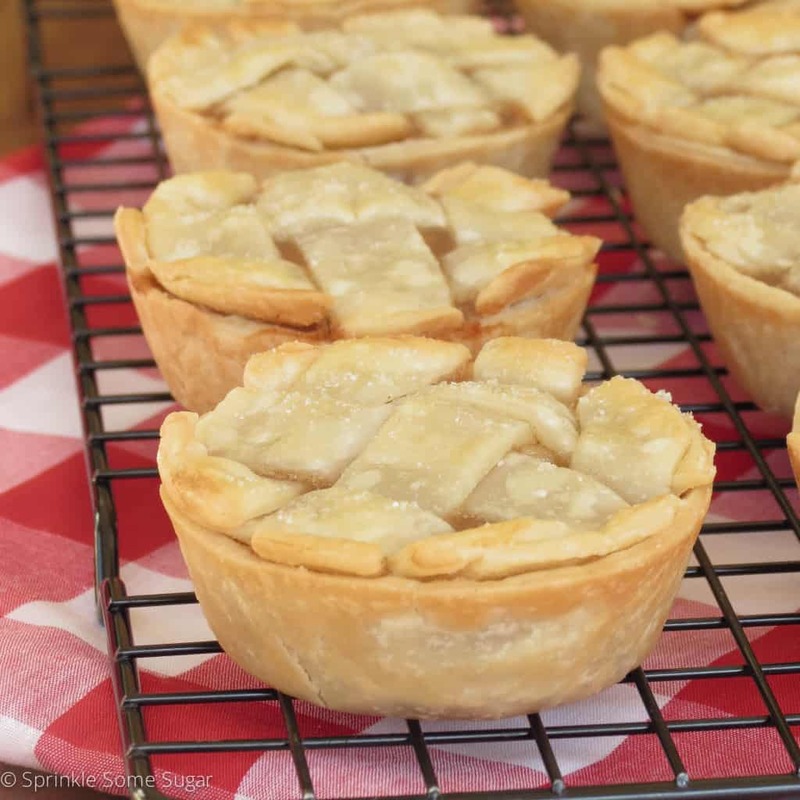 The most adorable personal mini apple pies! These are so cute to serve for dessert at a small gathering or even to little kids. I’m sure they would be ecstatic to have they’re own tiny pie! 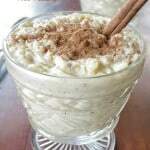 Combine sugars, cornstarch, cinnamon, nutmeg and salt in a small saucepan. Pour in water and stir until incorporated. On medium heat, bring mixture to a gentle boil for 3 minutes stirring frequently to prevent scorching on the bottom. Once mixture is thickened slightly, add apples and toss bringing he mixture to a gentle boil once again. Reduce the head to low and simmer for 10 minutes or until the apples are tender. Take mixture off heat and allow it to cool slightly. 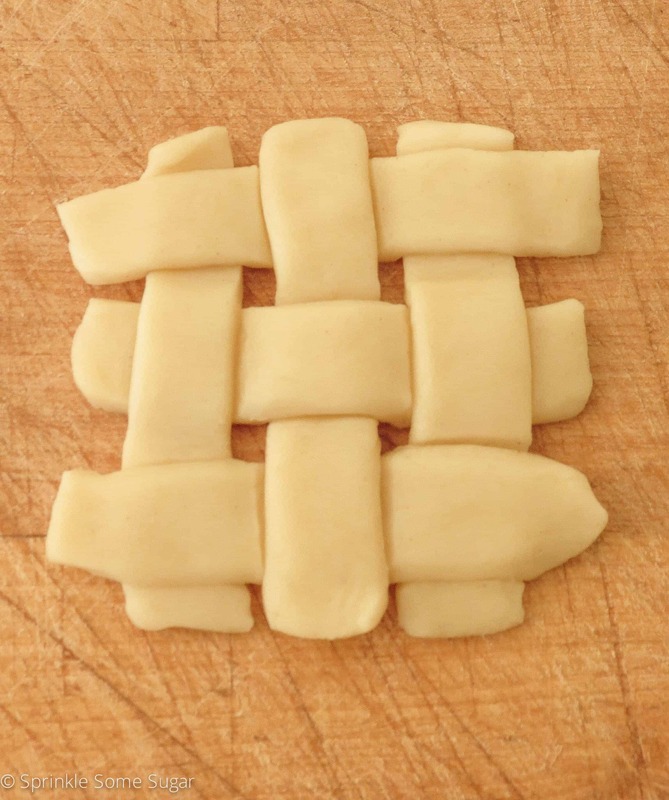 While mixture is cooling, thaw pie crusts if needed and unroll one crust onto a flat surface. 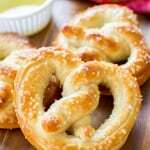 Start by cutting 3 1/2 - 4" circles with a cookie cutter or rim of a glass/bowl. Place each disk into each muffin tin cavity, pressing them into the bottom and up the sides. Fill with apple pie filling about 2/3 to the top. Brush the tops of the apple pies with egg wash, sprinkle them with some sugar and bake for 15-17 minutes or until tops are lightly golden and cooked through. Apple pie filling recipe slightly adapted from Inside BruCrew Life. Your mini apple pies are so cute! I love the puff pastry part of it, very nicely laid out in the basket weave type of technique.Great job! This looks amazing! These pies are the perfect size for me to gulp them down. Yay! I have been wanting to make mini apple pies for ages now but didn’t know how to begin. My daughter just popped in and has been reading this to see how to make them as well. Thank you so much for sharing. It is 425 degrees Fahrenheit! Sorry about the confusion. Those sound so good. I want to make them SOON! Apple pie is my favorite. There is nothing more delicious than the crust that has absorbed the yummy juice. Mini desserts are the best.. and so cute. Ive been wanting to do mini apple pies for awhile but always make my go to pumpkin pie bites. The little apple pies look fantastic! What great ideas you have for a party. 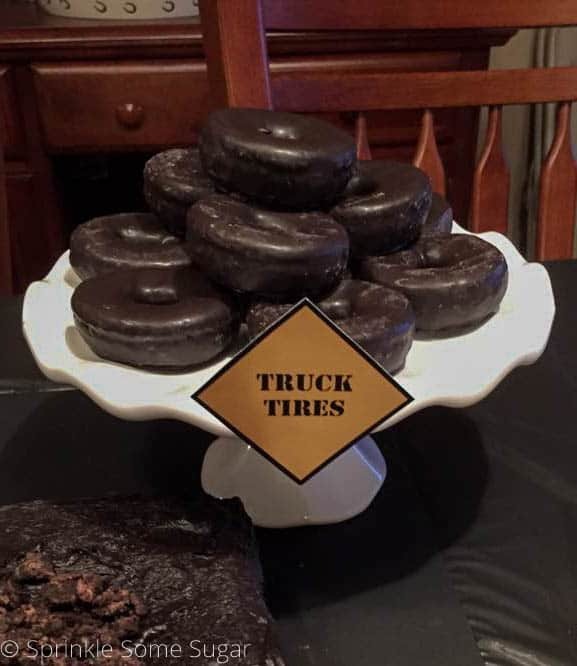 Love the chocolate donuts as tires. 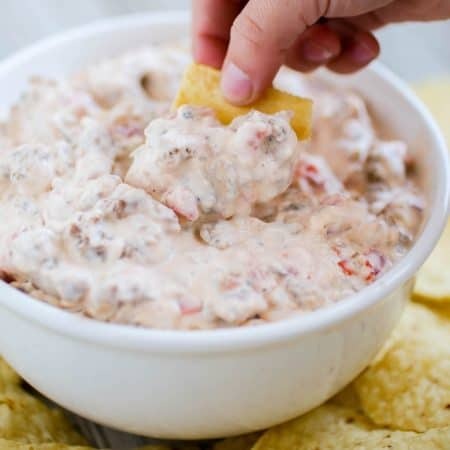 Your post just made me soooo hungry! LOL I will definitely be making those little pies – they would be perfect for my preschooler and toddler too! I love apple pie, this is the perfect recipe for me and my family! I don’t even eat pie but my gosh you made those little minis look soo good!!! I’ll have to pass this recipe to fellow pie lovers. Those looks delish. I am not into apples but I would like to learn how to bake apple pies. 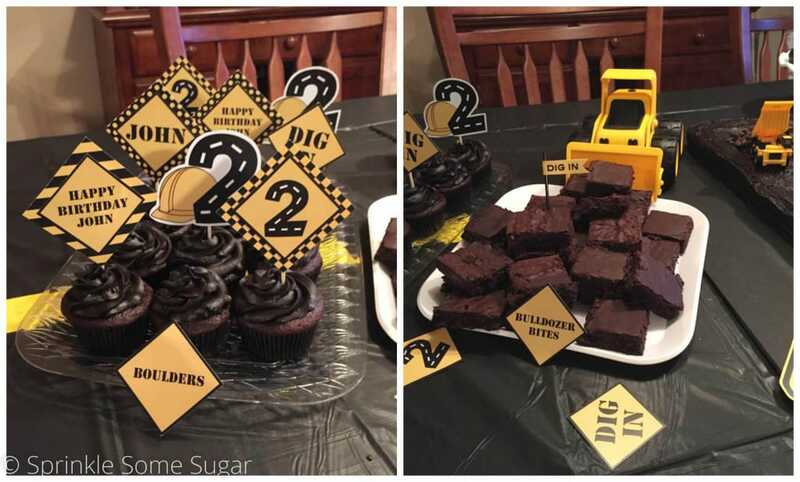 What a cute theme for a birthday party. 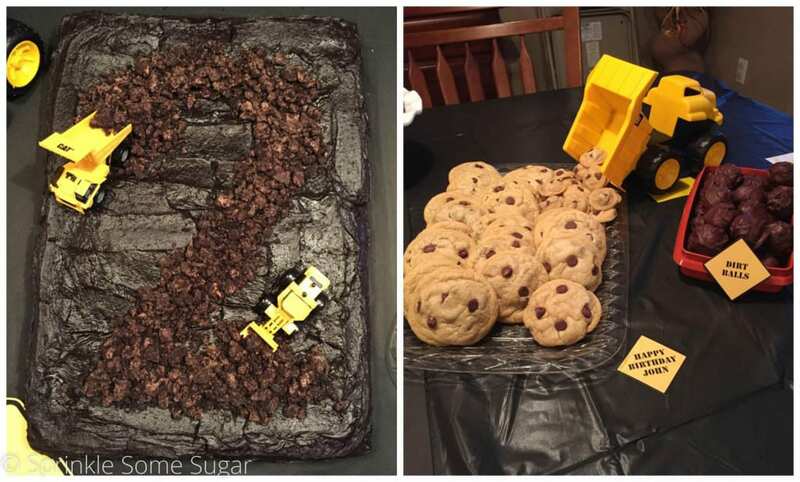 I love the dirt cake! Those apple pies look so delicious i can not wait to make some. I love the donuts as truck tires. Very creative. Also I think my kids would really enjoy those mini apple pies. Yum. 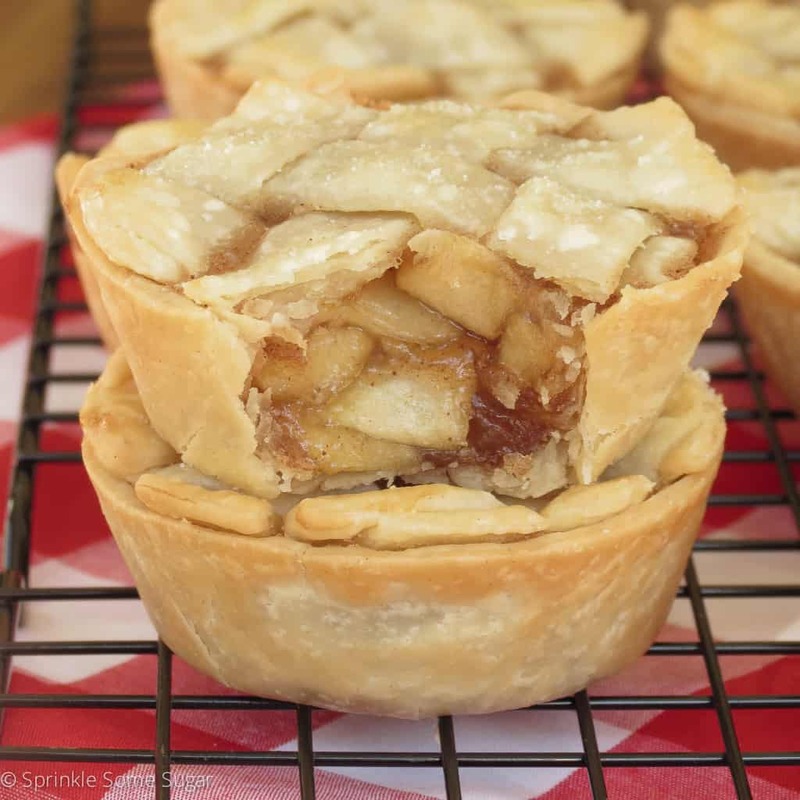 These mini apple pies look so delicious. 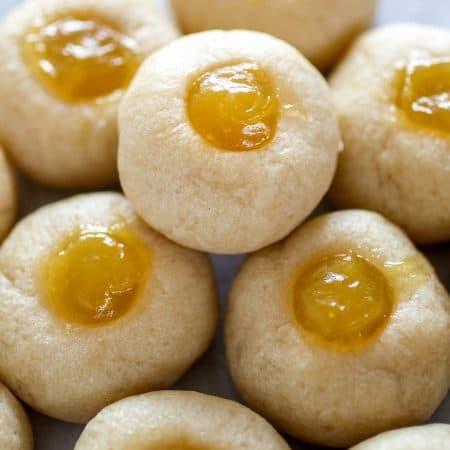 I wish i could make them right now. I love the theme of your little guys party. I am not a big fan of apple pies. But you sure know how to make a girl want to eat one. This looks amazing. The Mini apple pies look really good, and I like mini desserts…so I can eat more and feel like I ate more than I really did. Also, the ‘Truck Tires’ are really cute! 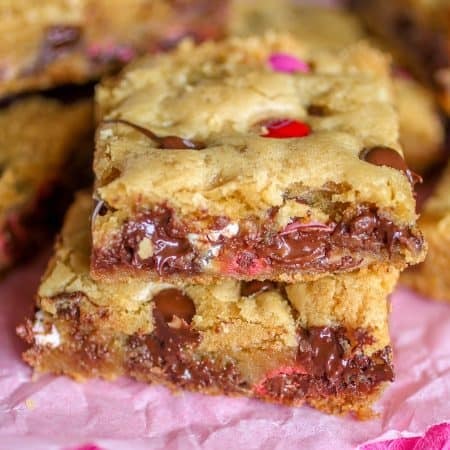 Goodness these look absolutely delicious! Yum! These are so cute, I love them for a school lunch side or something. Maybe after school snack! I have tried other ideas for small apple pies, and they didn’t work. This looks like something that would work for me! I just tried your pie recipe for my daughter’s school bake sale fundraiser. They turned out great! Your recipe was easy to do and easy to follow. Thank you, Monica! Hm, I am unsure as I haven’t tried it myself, but I would imagine it would work! What size muffin tin for mini pies? Just a standard sized muffin/cupcake tin is what I used. 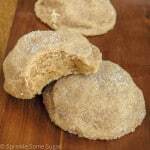 Can these be baked, frozen, thawed and eaten or will the crust be mushy? Or, can they be assembled, frozen in the tin, thawed (or not) and baked. I like to prepare items ahead for eating later. Hi Barbara, I cannot say for sure as I haven’t tried freezing them myself, but I don’t see why not! If I were to try it, I would bake and freeze them then when I wanted to use them, I would thaw overnight in the refrigerator and let them come to room temperature before serving. I hope this helps! If you wind up trying it out, let me know how it goes! This took more than two pie crusts! You need at least two just to come up with the bottom crust!!! Please adjust recipe to reflect that. I wound up using almost two packs of the Pillsbury crust, each of which comes with two crusts in the box–so almost four crusts altogether. I agree! I did not have enough pie crust to do more than 10 of the pies, and even though I filled the cups up slightly more than 2/3 full, I had enough pie filling to do another dozen pies. I will say, I tasted the pie filling by itself and it is absolutely delicious. It would be wondetful over vanilla ice cream! Waiting for the pies to come out of the oven now. Woohoo! I have made these twice and everyone loves them! That’s so great to hear, Misty! I’m so glad you guys love them! Happy holidays! Just came out of the oven they are almost to cute to eat Thanks for the recipe. Why the use of cornstarch, if you don’t mind me asking? 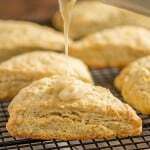 Corn starch is used in the filling to thicken it up while baking. I’m glad I saw your recipe has a pre-cook approach to the apple filling for your mini pies. This, it seems to me, facilitates getting filling consistency and doneness of each mini pie uniform and easy. I want to try out your apple filling, certainly, for the first mini pies I make in a “mini pie maker” appliance. I bought it second-hand without the user- guide, but I found all the gouge for getting good results easily online, luckily! I will even try your perfect little lattice technique with that method next time I make these, because I have all my already pre-cut mini pie crust dough circles stashed in the freezer! I’ll put a link beneath this for anyone who might have one if these little portable mini pie gadgets but little experience with it. BTW, kudos on being such an inspired cook. Your little son has to be getting spoiled with mama’s love! I gotta say that your apple pie filling is ideal for a marvelous mini pie cooked in 10 minutes flat in my mini pie baker appliance. I found that plain crust comes out perfectly cooked to golden brown crispiness, and the filling is just WOW!!! I added my apples towards the end of the cooking of the cornstarch mixture because I wanted to make sure they retained some firmness afterl baking, and they did, so if the apples available are not super-fresh and crunchy, it is fine to add them to the cornstarch/water/sugar mixture after that has already become thickened and ‘clear’, just stir the apple pieces in and allow to cool down before using. I will use your pre-cooked filling method for a peach pie filling as well! The apple was simply top-notch! Thank you so much, Kathryn! That mini pie maker is adorable. I’ve got some mini cherry pies coming to the blog soon too so stay tuned for the recipe. So glad I found this today! Had frozen apples from the fall but I was worried they would get mushy in the oven too long. These were perfect! I didn’t have enough crust for both top and bottom, so I just made a quick crumble topping. Regular muffin pans that fit 12! Enjoy! I did make them and they were a great hit. But I had to use 6 pie crusts to your one amount of apple filling. But they loved it. I cannot wait to make these. Would everything be the same if I were to make cherry or pumpkin pies? Can you use cupcake liners for these or put them directly in the pan? I made these mini pies for thanksgiving last week and they were delicious! I had a lot of filling leftover and at the time I put it in a Tupperware and put it in the fridge to worry about later and forgot about it! Do you think it is still ok to use this weekend (one week later) ? I think you should be okay! This is the first time that I’ve baked apple pie, this recipes was easy to follow AND most importantly it came out delicious. Received lots of compliments on this so Thank You!!!! 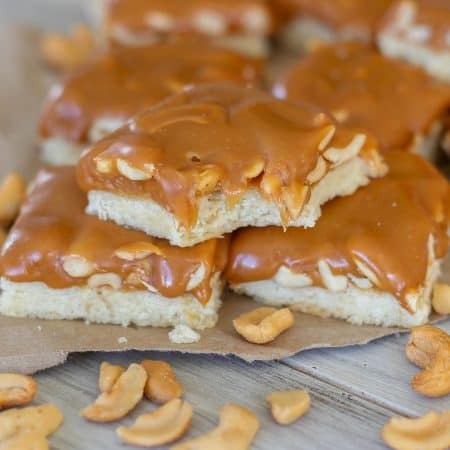 Curious to know if there are any supplements for the sugar though, trying to make a version for my parents who are trying to cut back on sugar intake. Thanks! Maybe try a sugar substitute? You can probably even get away with using less sugar. They look delicious!! Do I think I could freeze them though? Yes! I’d prepare the pies and freeze them just before baking. Thaw them overnight in the refrigerator and bake. Yay! Thanks so much Ashanti! I hope you had a great Thanksgiving! If you have instagram, you can post a photo with the hashtag #sprinklsomesugar or post it right to my Facebook page (https://www.facebook.com/sprinklesomesugar/)! I’d Love to see! I made these for Thanksgiving and they were a huge hit!! SO delicious! I’d like to try making a full sized apple pie using this recipe. Have you made a full sized version of these? Do you think I could use the same amount of everything for the filling and just put it all into one pie? Thanks!! Yay! You can absolutely make this filling into a full pie! Made these for Christmas desert. Everybody liked them! I had some filling left over and we used it on waffles and in oatmeal. Very tasty. I’m still thinking of your manicotti; do you share that recipe as well? The filling is a mixture of ricotta, shredded mozzarella, grated pecorino romano cheese, eggs, parsley, salt and pepper. Fill the crepes with the filling. Place them in a large pan with a little bit of gravy in the bottom. Top with more gravy. You can store them for 2-3 days in the fridge. 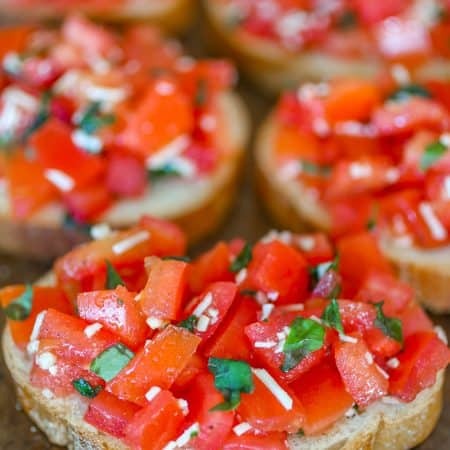 They’re the perfect make-ahead food for a party! Bake them at 325 degrees F for 30 minutes when ready to serve. These are great, but the measurements are off. I just made them. 5 cups of apples yields enough fillings for twice as many as the recipe calls for– I made 12 little pies and there was a ton of filling left over. I have made these a couple times (used my own pie crust recipe). While I like the ease of pre cooking the filling which takes away juice over flow while baking and makes it much easier to remove the mini pies from the pan. I think you lose the fresh apple taste of a fresh baked apple pie. The filling is a little flat tasting. I have made them with a brown butter oat crunch in place of the top crust which did add extra flavor. Maybe I will try the filling once more but with less cornstarch. Do they have to be granny Smith apples? Nope! Use your favorite kind of apple. 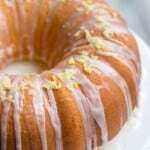 I like the tartness of the Granny Smith with the sweetness of the other ingredients. It’s personal preference! What’s the size of the muffin tin? Would a cupcake tin work? Hi! They look good, I can’t wait to try and make them, one question before placing the crust in the tin, do you grease the tin?